The table below will help you compare our pet insurance plans and choose which option is best for your cat.  How do you compare pet insurance plans?  Our pet insurance plans offer flexible policies at competitive prices, ensuring you can get the right cover for your dog or cat at the right price. What separates us from the rest is our added cover options and our superior service. This has been put in place through our “streamlined claims” system. We have put in place resources to call your vet and collect any invoices, vet notes or documents that are needed to assess your claim on your behalf (historically the responsibility of the policy holder). This is often a major cause for delay. This service helps cut down a huge amount of time, so you do not need to worry about whether your claim is being assessed or if we have all the information needed. The following explanation of our different policy types will help you to compare pet insurance options. As the name suggests, this covers up to 80% of eligible vet fees on all Accident related conditions (as defined in our Product Disclosure Statement). Examples include expenses related to treating injuries from car accidents, snake bites, bite wounds, burns, and even allergic reactions to insect bites (excluding ticks and fleas). We also cover gastric dilatation-volvulus (GDV), Trauma induced respiratory impairment, bone fractures, torn nails, poisoning, embedded grass seed, traumatic spinal disc rupture, eye trauma, intervertebral disc disease (IVDD) and cruciate ligament condition. Please check waiting periods for different conditions, as disclosed in the Product Disclosure Statement. Hip Joint Surgery is also included in this policy up to a limit of $7,600 for stated Accident Only. We are proud to advise that there are not many policies in the Australian market that includes this cover. Since there is no illness cover with this plan, it is considered a basic policy and this is reflected in the premiums. There is an 80% benefit percentage and no excess applicable. The Accident plan comes with an annual benefit limit of $10,000. As well as including all features of the Accident Only cover outlined above, this policy will also assist with up to 80% of eligible vet bills when your pet requires treatment for one of many illnesses. Illnesses covered includes but is not limited to, gastroenteritis, cancer treatment, skin conditions, and hereditary health problems. Pre-existing Conditions are excluded. As with all policies compared in the market, cover for pre-existing conditions is excluded. Accident and Illness cover is provided within two of our plan types – our Peace of Mind Plan and the Ultimate Care Plan. The Ultimate Care Plan covers everything the Peace of Mind plan covers except it also includes dental illness cover with a sub limit of $1,000 per annum. In addition, it offers optional alternative therapy up to $1,000. The Ultimate Care Plan not only has a higher annual benefit limit of $20,000 (compared to $15,000 for the Peace of Mind Plan), it also has a higher sub limit for cruciate ligaments ($3,200 vs. $2,600, depending on what state you are in) and a tick paralysis sub limit of $3,000 compared to $2,000 for the Peace of Mind Plan. Both policies cover chronic, reoccurring and ongoing illnesses (excluding Pre-existing Conditions) for life, provided you renew your policy each year without any break, lapse or change in the level of Cover. See details in our product disclosure statement. Optional Routine Care Cover is available with our Accident and Illness policies. This includes limited benefits for items like vaccinations and regular vet check-ups. Bow Wow Meow now offers an Indoor Cat Policy. These are for cat owners who want to provide their cat with specified cover at a lower premium. This cover is available to all cats provided they commence cover between the ages of 8 weeks old and 9 years. This policy has an annual limit $5,000 per annum, a benefit percentage of 80% with no excess and covers, consultation fees up to limit of $300 per annum, treatment in relation to poisoning, cancer, diabetes, heart disease, Gastrointestinal Problems and other conditions listed in the PDS. Likewise, certain illness conditions such as eye trauma, elbow & hip dysplasia, cruciate ligaments and patella luxation are also not covered. This policy covers chronic, reoccurring and ongoing specified illnesses for life, provided you renew your policy each year without any break, lapse or change in the level of Cover. See details in our product disclosure statement. Optional Routine Care Cover is also available with our Indoor Cat policy. This includes limited benefits for items like vaccinations and regular vet check-ups.